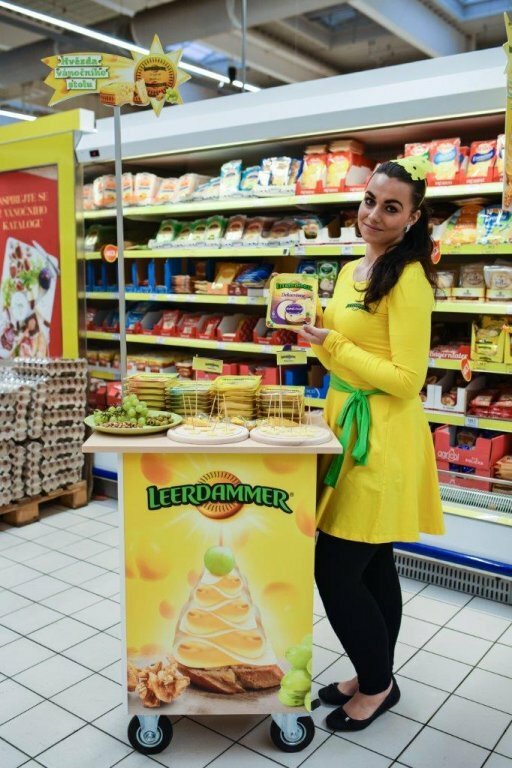 Last fall we won the tender for a comprehensive Christmas campaign for the Leerdammer brand. 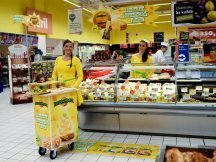 Our creative team prepared POS materials that were installed in the chilled foods departments and at the deli counters within the Tesco chain of stores. 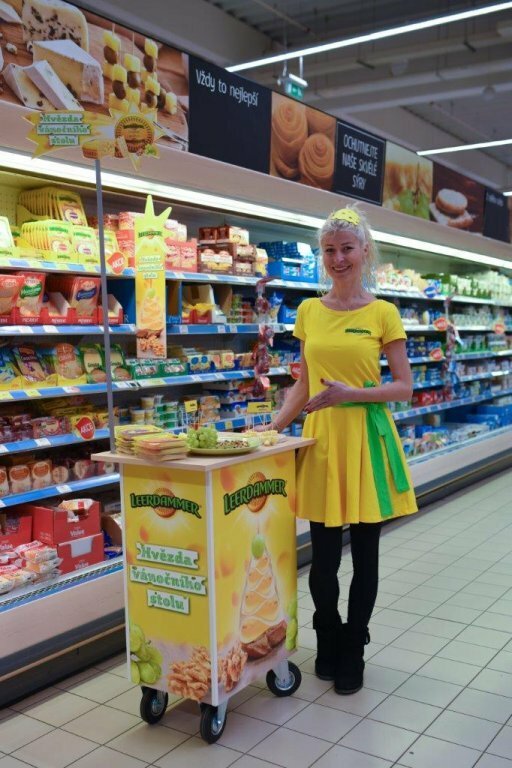 The entire campaign, that included the usual hostess promo as well, was carried out in the Czech Republic, Slovakia and Hungary. 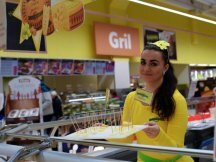 In the pre-Christmas period there were 2 hostesses assigned to each store. 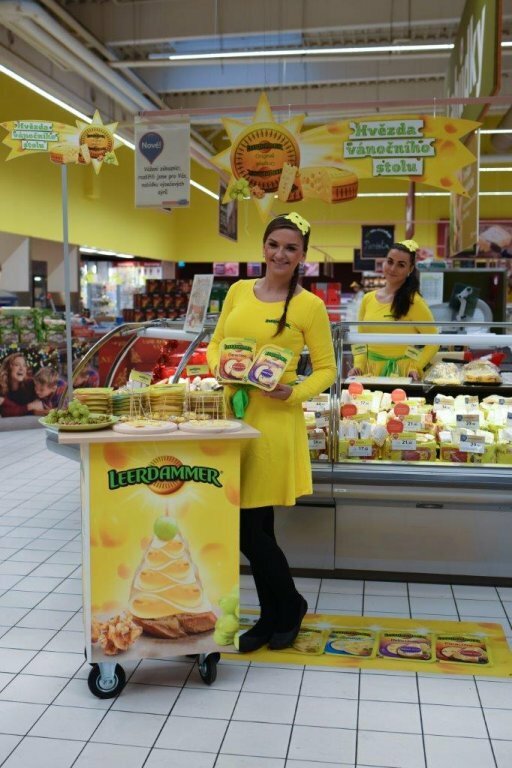 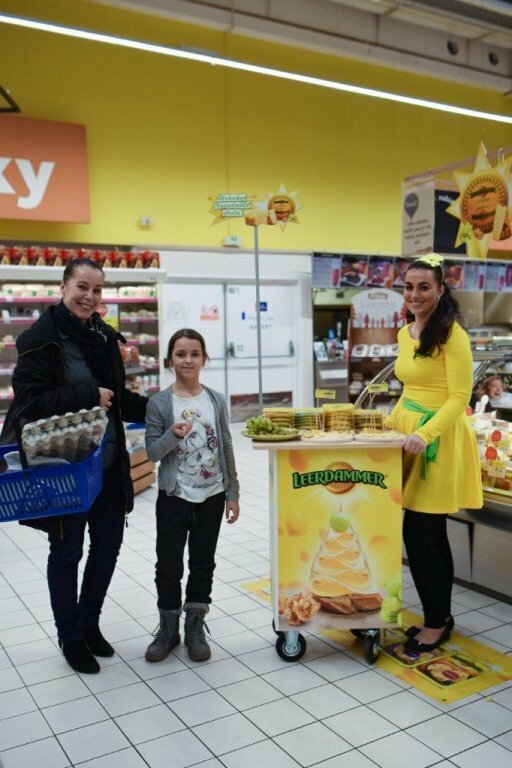 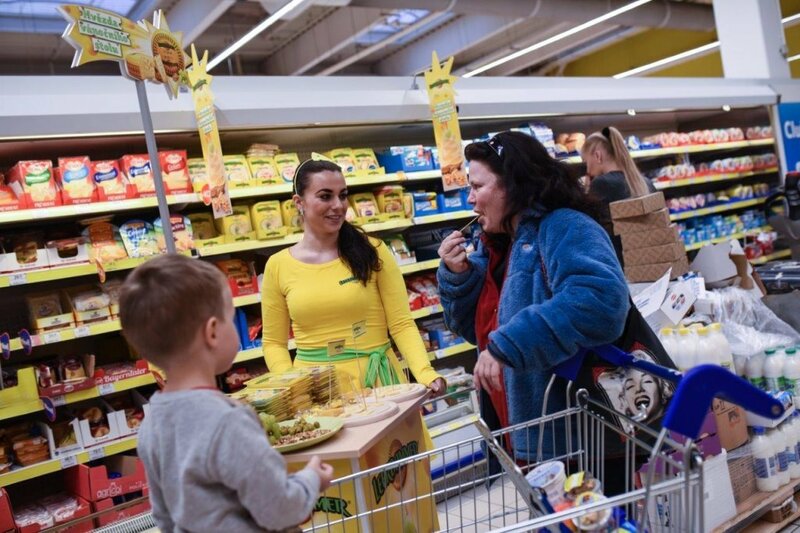 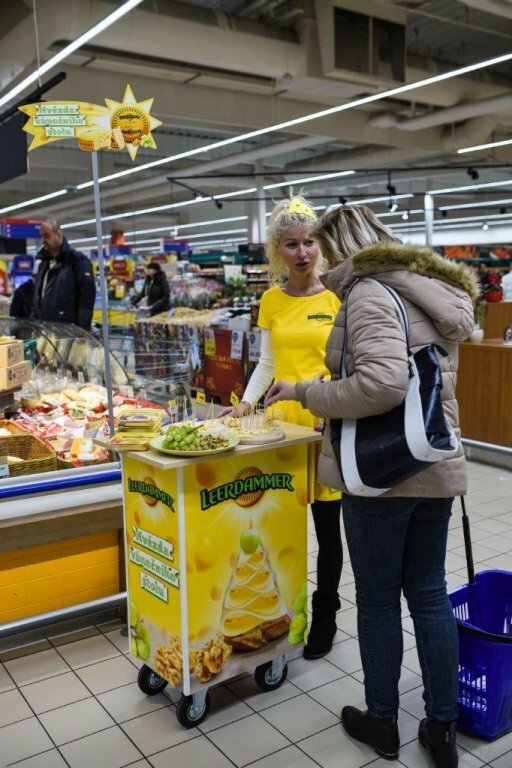 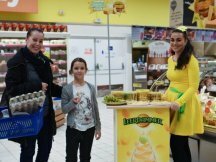 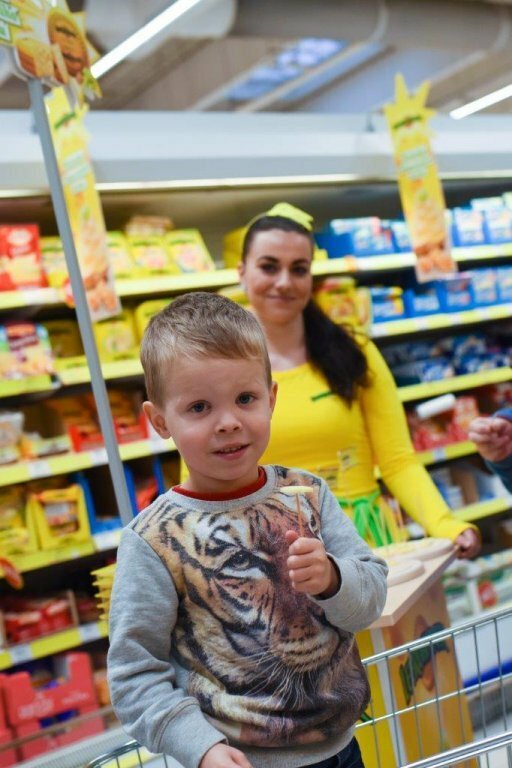 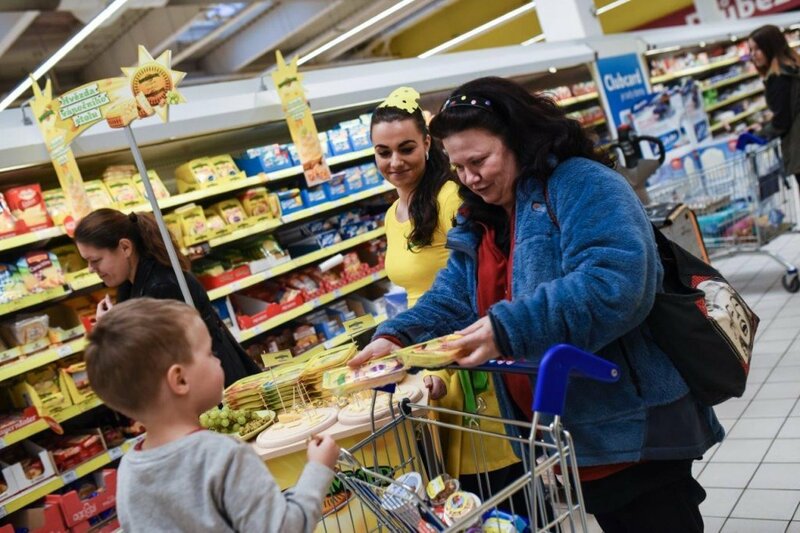 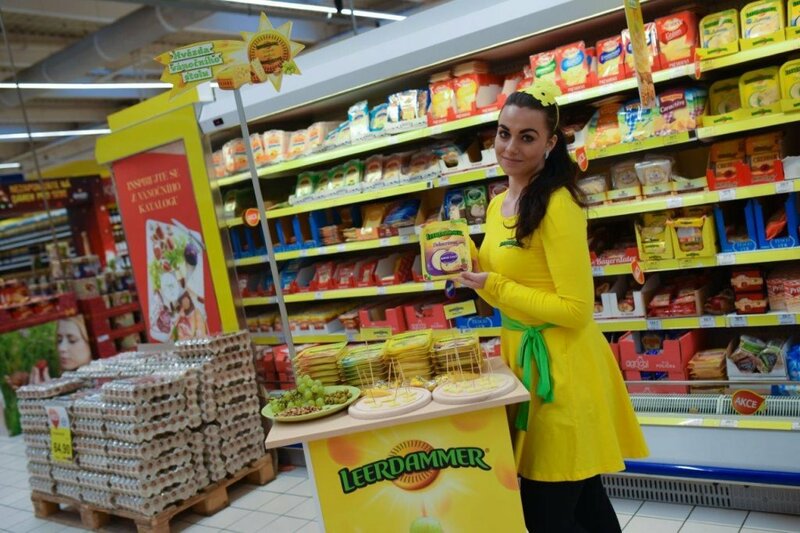 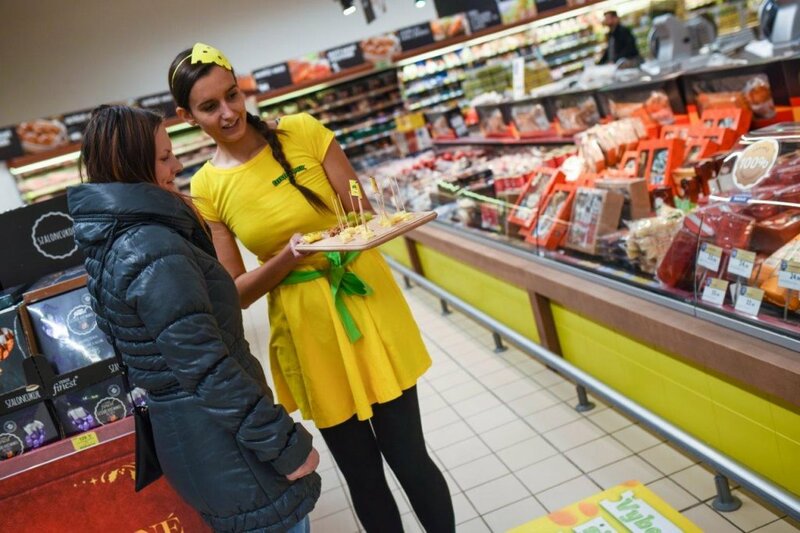 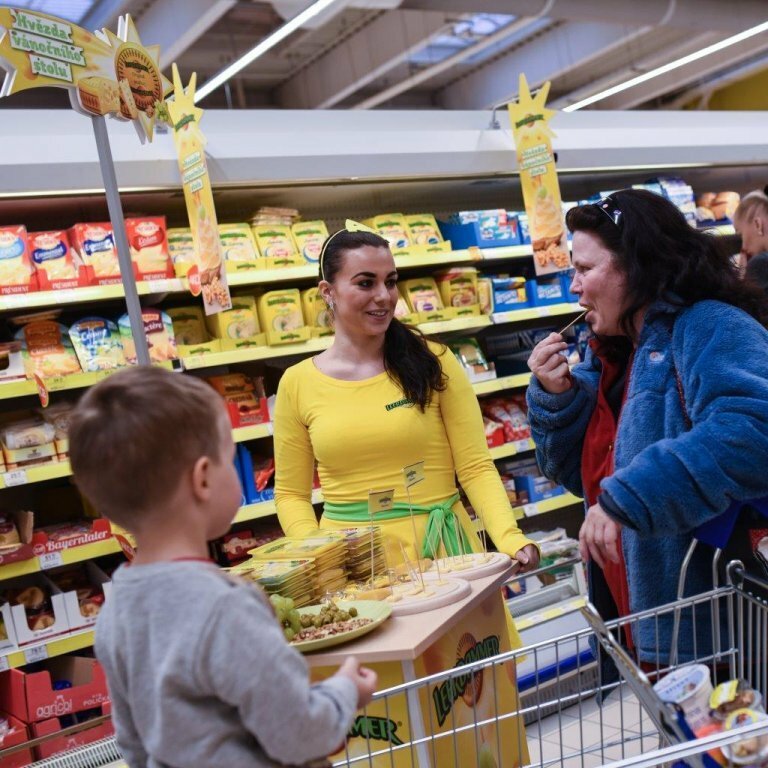 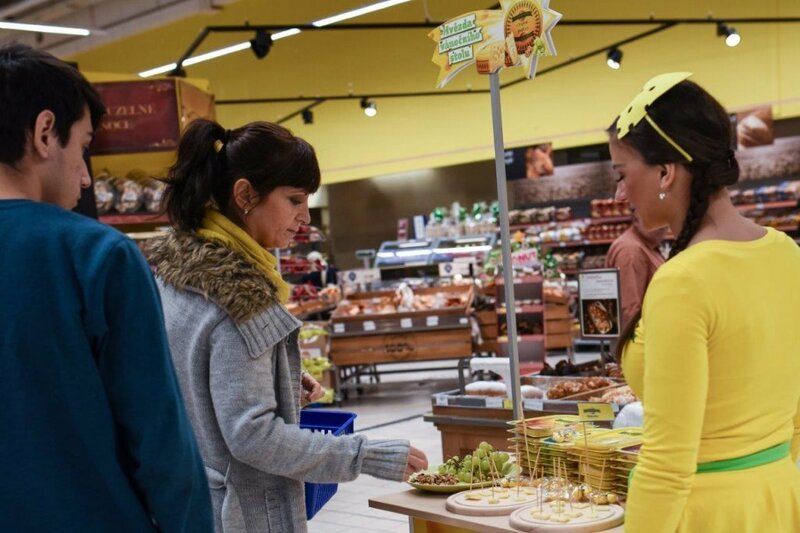 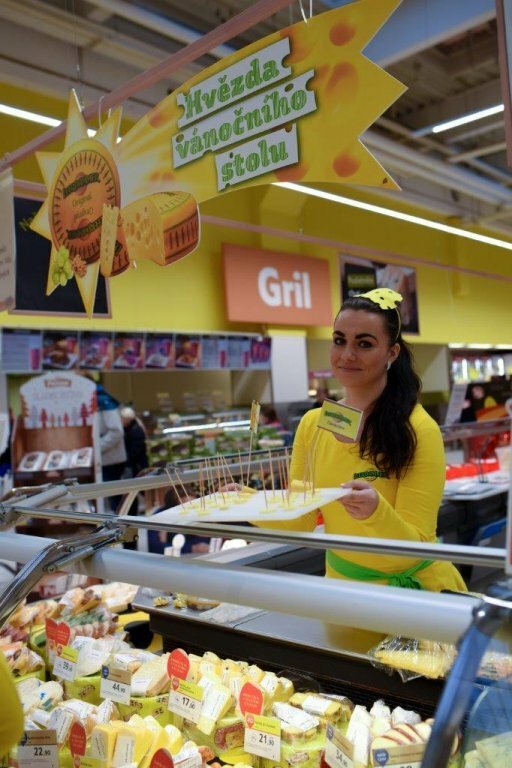 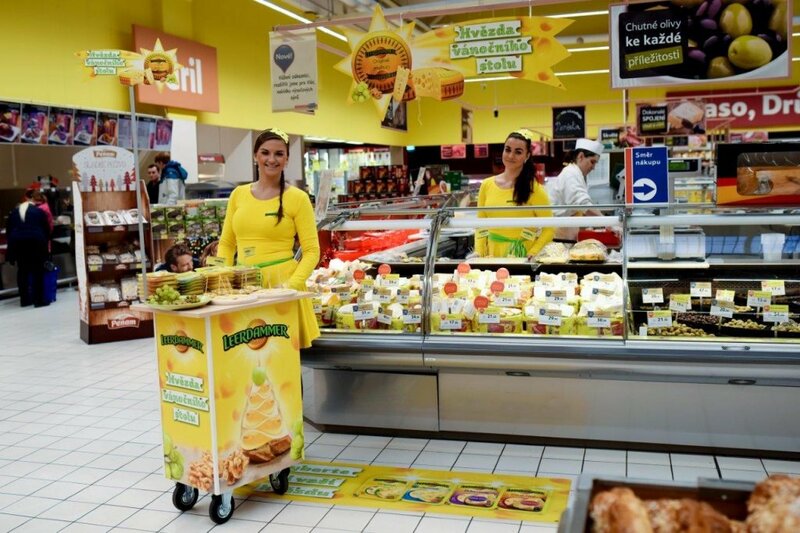 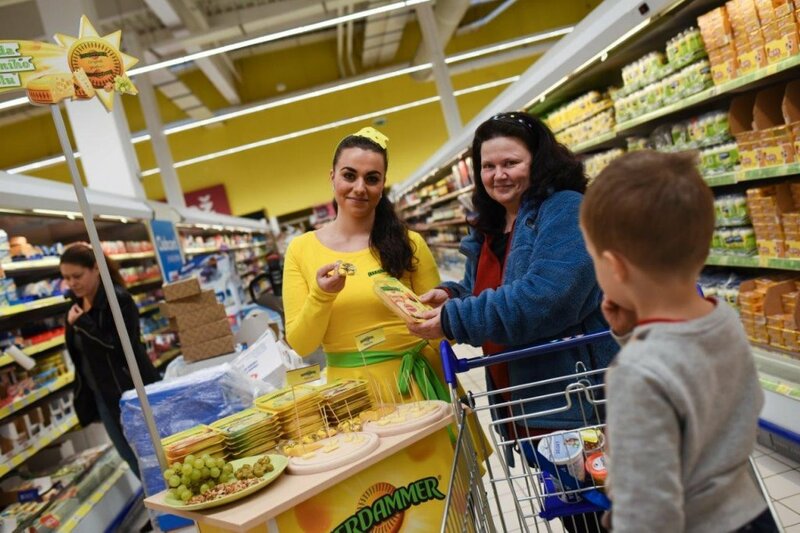 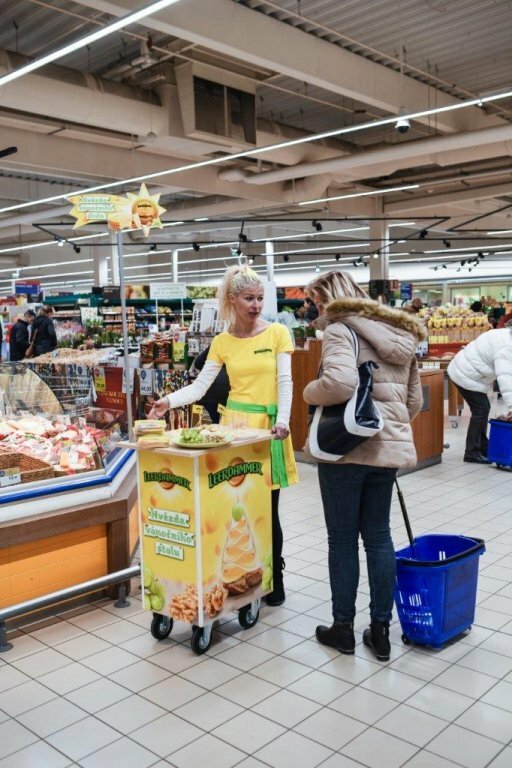 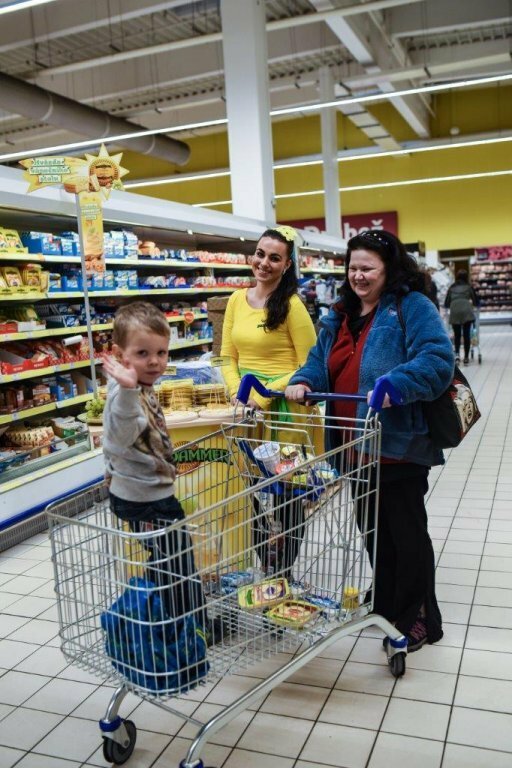 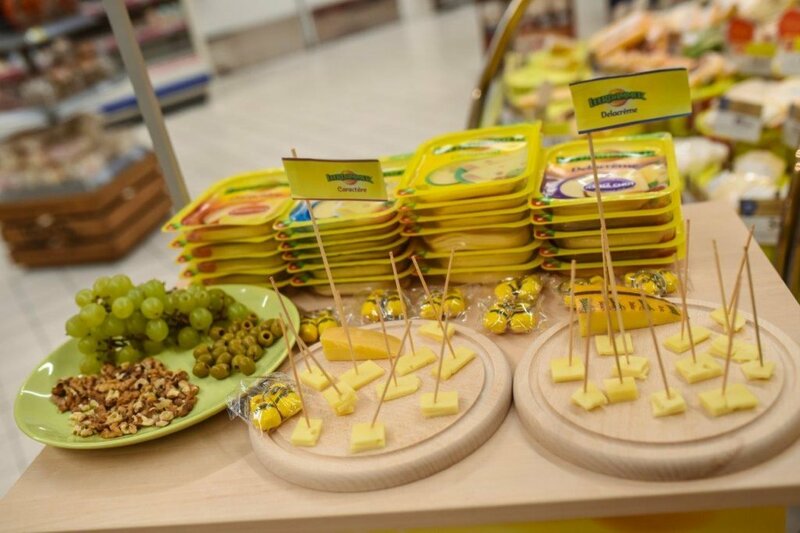 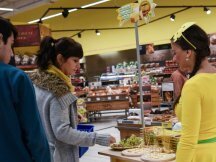 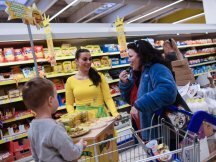 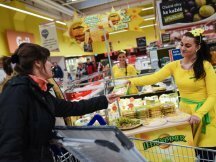 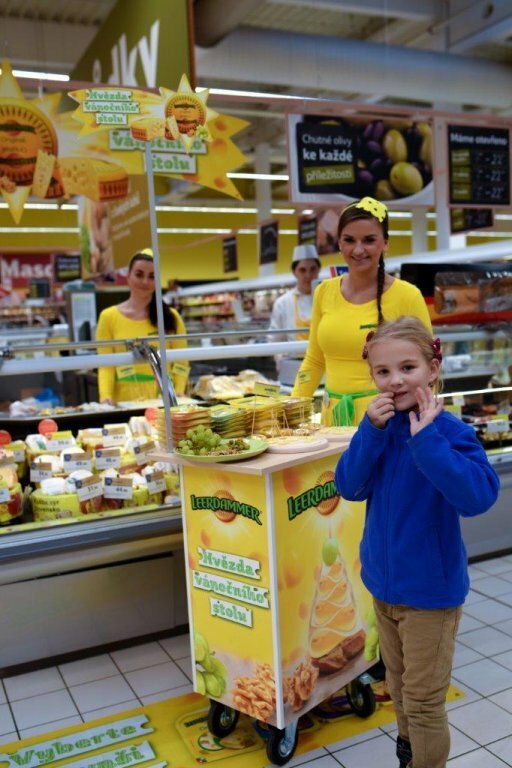 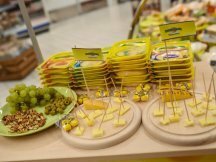 One was presenting new flavors of Leerdammer cheeses at the deli counter and the other was equipped with a mobile stall which enabled her to move and address customers throughout the entire Tesco store. 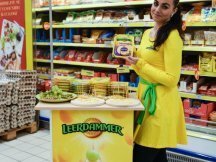 The event was supported by mechanics where customers received a key chain with Dutch clogs made of solid wood for buying any 2 Leerdammer products. 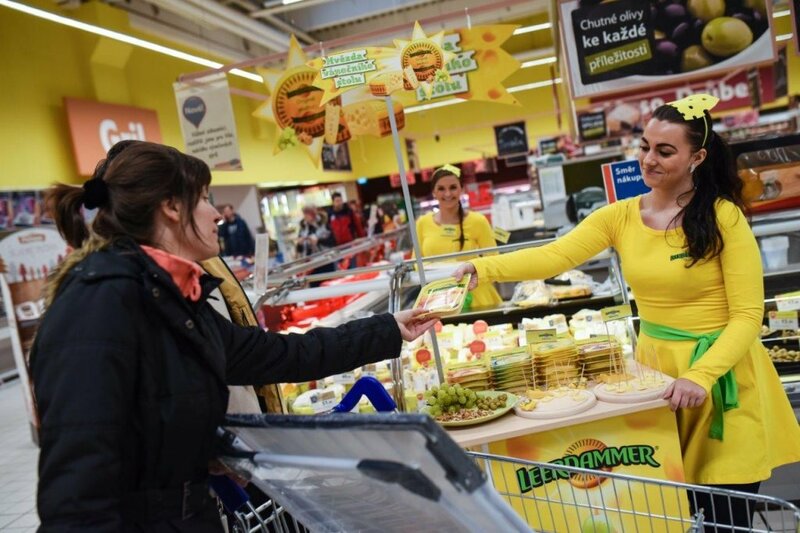 The campaign brought outstanding sales results and great response among both end consumers and representatives of the Tesco chain.